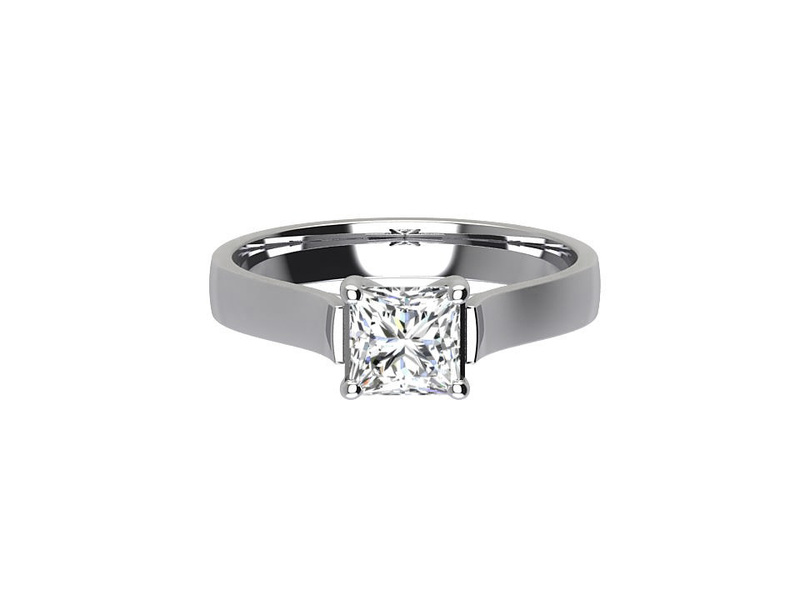 Princess cut solitaire diamond ring set in platinum. 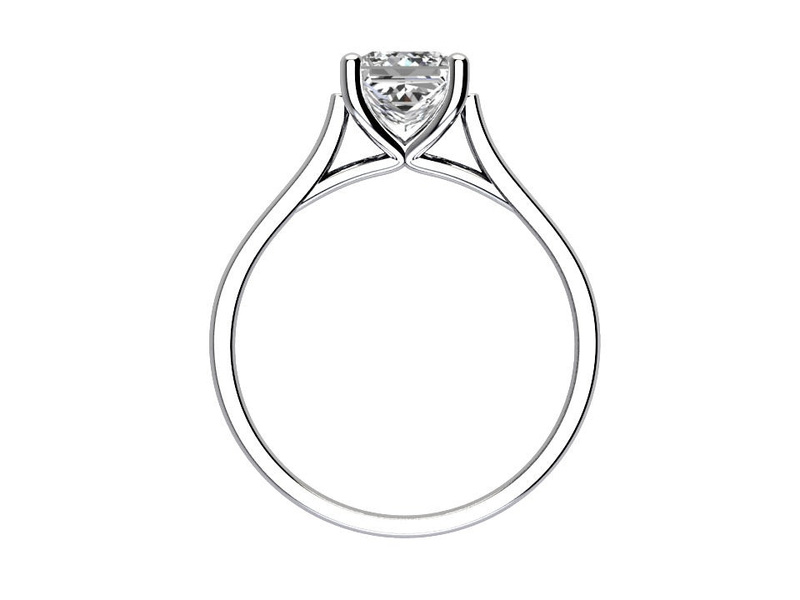 The centre diamond is a 0.60 carat princess cut diamond set in a four claw setting on a plain solitaire band. 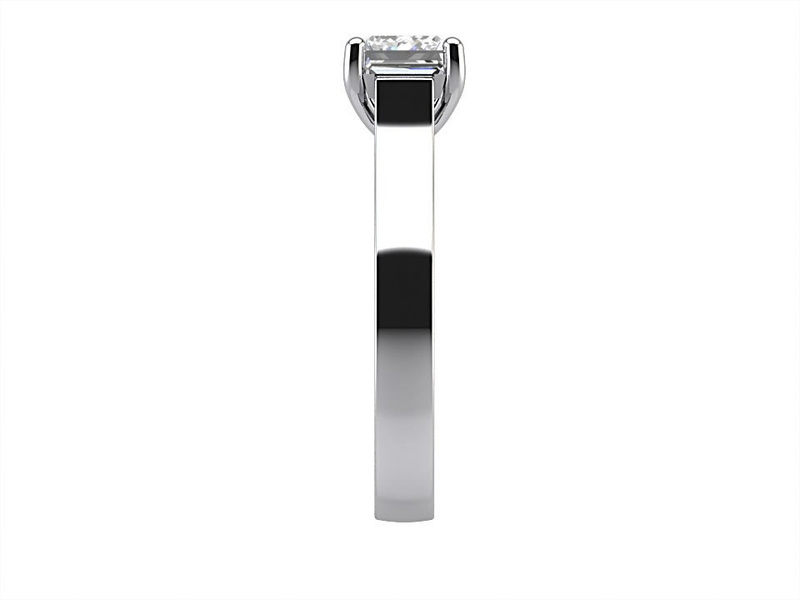 The certified centre diamond is F colour with Si clarity and this can be amended to any diamond colour or clarity to suit your budget and taste.